S.T.E.A.M. combines the topics of science, technology, engineering, art and math to make learning fun. Explore special interests from cooking to space and everything in between. Expand your knowledge with these titles from our digital collections. After foiling a gang of kidnappers and fending off an army of robots, 11-year-old siblings Nick and Tesla Holt could use a little rest! But as their third mystery opens, they discover there's a spy in their midst, searching for secrets in the home of their beloved (and slightly crazy) Uncle Newt. Is it the new laboratory assistant? The exterminator? The housekeepers? Or someone completely unexpected? 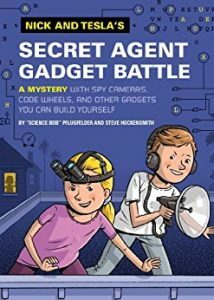 To expose the mystery agent, Nick and Tesla must engineer all kinds of outrageous contraptions, from code wheels and fingerprint powder to spy cameras and burglar detectors. Best of all, instructions are included throughout the story, so you can build the projects, too! With more than 100 million players around the world, Minecraft is one of the most popular video games of all time. Its unique design encourages players to use their creativity and problem solving skills to build entire worlds from scratch. 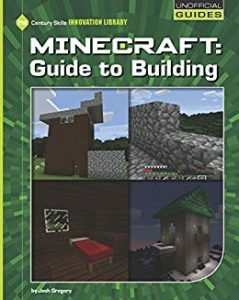 In this book, readers will learn everything they need to know about construction in Minecraft, including which materials to use in different situations and how to choose building locations. Clay Lab for Kids, a new addition to Quarry's Lab series, focuses on kid-friendly clays—air-dry, homemade, and polymer—that are safe and easy to use at home or in the classroom; no kiln required. Nashville art teacher Cassie Stephens makes clay a focus of her classes with amazing results. 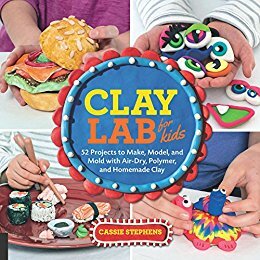 In Clay Lab for Kids, she continues her creative explorations with 52 hands-on projects ranging from 2-D monster magnets and coats of arms, to 3-D bobble-head dolls, Day of the Dead skulls, animal friends, marionettes, and treasure boxes. Your kids will love to fold and fly these sturdy, aerodynamic paper airplanes! 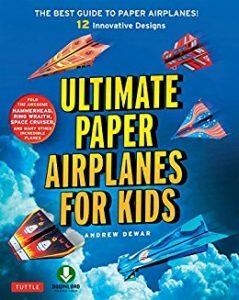 In this brand new book with folding papers, paper airplane expert Andrew Dewar presents his ultimate collection of easy-to-fold, high-performance planes for kids who are fascinated by paper or origami airplanes. These planes are brightly colored and designed to fly beautifully each and every time. The book opens with a fascinating primer to the principles of flight so kids can learn about the forces that enable a plane to fly and affect the performance of their planes. They'll have fun coaxing the planes through their paces: doing loops, barrel rolls, glides and dives. The sky is the limit once they understand how planes interact with the atmosphere! This paper airplanes book contains: Detailed instructions for each paper plane 48 pre-cut paper airplane models Special durable lightweight cardstock Printed folding lines for perfect folds Colorful and realistic designs A pull-out airport runway for landing maneuvers.